Want to beautiful your home. 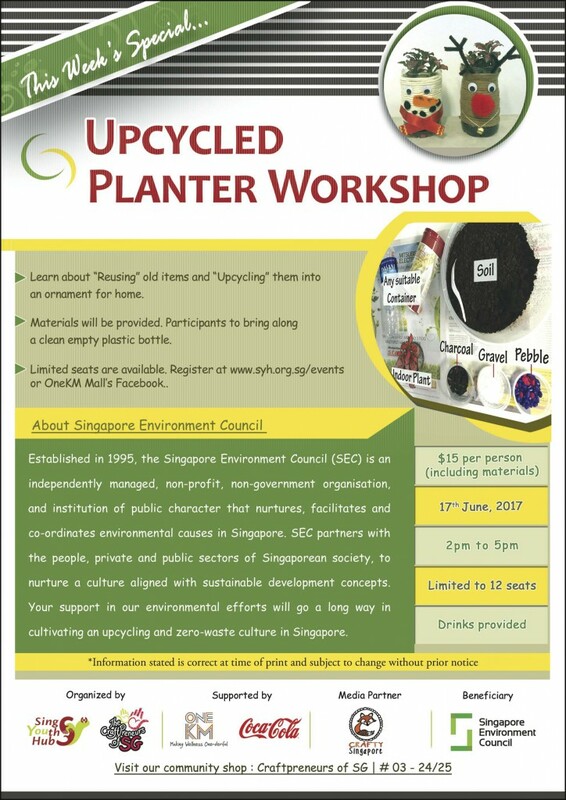 Hands on for this workshop with your own creation. Learn about “Reusing” old items and “Upcycling” them into a plant ornament. Copyright © 2019 SingYouth Hub. Powered by WordPress. Theme: Spacious by ThemeGrill.